Take wheat flour and besan in a big bowl. Add all other ingredients except oil. Mix it well. 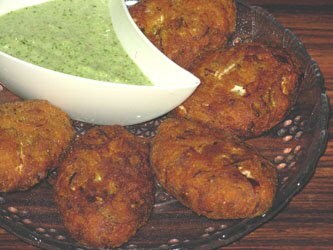 Wet your hands and prepare pakodas. Take frying pan and heat oil. Deep fry all the pakodas.